All Automotive mechanical repairs & servicing. S&A Tuning offers abroad scope of auto repair services. Each and every project or job will be on a reservation basis, although we will accept a small percentage of drive in repair work. 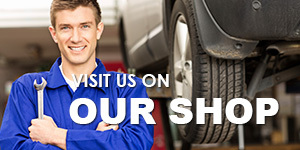 In addition, we have a complete car servicing to warranty standards. S&A Tuning, an automotive mechanical repair shop. We pride ourselves on doing only the highest quality car service and auto repairs, without voiding your new car warranty. All our car mechanics are fully qualified vehicle Testers. S&A Tuning pull out all the stops for a first rate customer experience. We are equipped with special skills when handling each and every automotive mechanical servicing and repairs,We are licensed to carry out air conditioning repairs and are equipped with a licensed VicRoads Roadworthy testing facility. We specialise in pre-purchase inspections, clutch & brake repairs, transmission repairs and servicing, air conditioning service, your tyres and much, much more. Thanks to our committed staff, our customers vehicles are treated to a high quality of service and parts, as well as the staff that strive to exceed their training to and beyond the industry standard requirements. 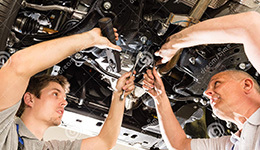 S&A Tuning are decked out with state of the art machineries, that are employed by highly skilled and qualified mechanics who go through intensive training. Our people are equipped only with quality spare products and parts that are guaranteed to produce total customer satisfaction. We uphold only the premier level of quality that places us ahead of competition. We are proud in the success of what our workshop has become over the years due to our ongoing customer service and vehicle services we provide.